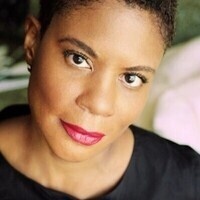 Professor Alondra Nelson, Columbia University will give a lecture on The Social Life of DNA Race, Genetics and Genealogy in which Nelson unravels the double helix of genetics and racial justice. Ancestry tracing by black Americans is very popular, using sites like africanancestry.com and 23andme. Has it helped civil rights? Social justice? Legal claims? Yes and no. Reception and book signing following. "Any views, findings, conclusions or recommendations expressed in this program do not necessarily represent those of the National Endowment for the Humanities."